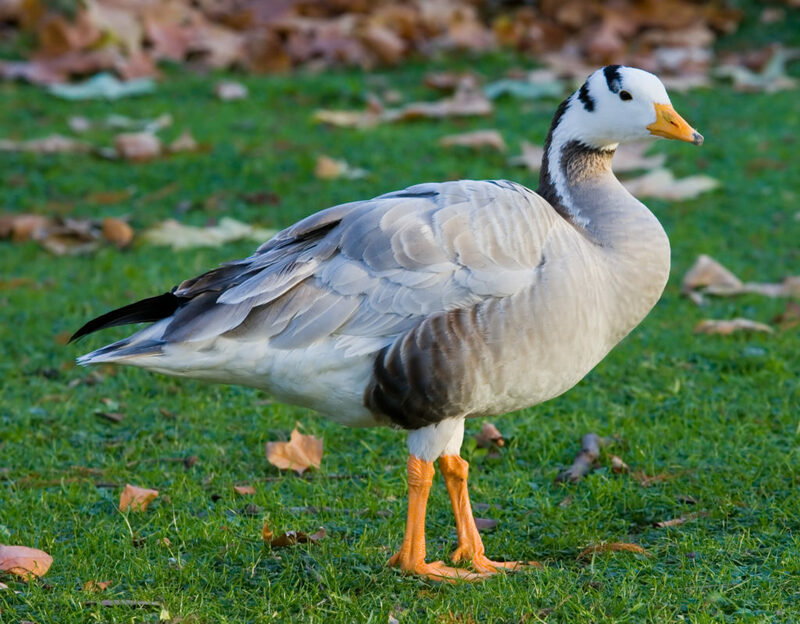 The bar headed goose is one of the world’s highest flying birds. and has been seen flying up to 33,382 feet over the Himalayan mountains in their migration to over winter in India. They are able to do this because they have a larger wing area to body size, breathe more efficiently resulting in less heat loss, and the hemoglobin in their blood has a great affinity for oxygen. Amazingly, this bird completes the 1000 mile migration in just 1 day as they are able to actually fly in the jet stream. Birds nest in large flocks and infraspecific brood parasitism is common, where lesser females will lay their eggs in the nests of higher ranking females. The wild population is declining dow to over hunting but the bird is easily kept and bred in captive situations.